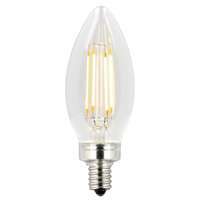 This candelabra base LED bulb is an excellent energy-saving replacement for incandescent torpedo light bulbs. 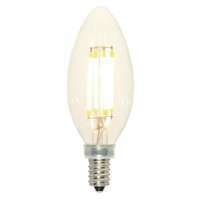 It looks like a traditional incandescent torpedo light bulb and provides the same warm ambiance, perfect for chandeliers, ceiling fans and sconces. Suitable for use in enclosed fixtures and damp locations such as outdoor rated wall, ceiling and post lanterns. 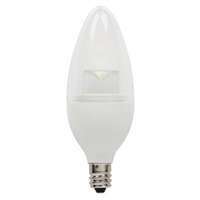 Making the switch to Westinghouse LED light bulbs offers significant energy-saving benefits. Westinghouse is a trusted global brand. We know lighting and offer products with exceptional quality, reliability and functionality.